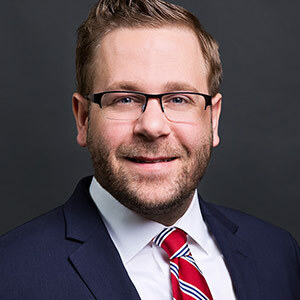 Mr. Snyder has over eight years of professional experience in the litigation services industry, specializing in schedule delay and impact analyses, the analysis of construction project costs and quantities, and project management. He has been a guest lecturer on the topic of construction litigation in Lehigh University’s Civil Engineering Department for the Advanced Construction Management course. He is a licensed Professional Engineer in the District of Columbia. Mr. Snyder performs critical path analyses of schedules and compares as-planned and as-built schedules to identify causes of project delay. He is proficient in scheduling software such as Primavera and MS Project. He has also reviewed and compiled support for construction change orders, analyzed planned and actual contractor costs and quantities for various project tasks, and participated in the analysis of overhead costs for use in Eichleay calculations. He has experience in reviewing construction documents and design submissions in response to claims submitted by contractors. He has experience evaluating claimed costs and construction quantities through use of design and construction drawings and submittals. He performed detailed analyses of submitted Requests for Proposal (RFPs), certified payrolls, and invoice support. He has tracked equipment use and costs on various projects through daily reports and invoices. He has worked with large data sets, and organized large document productions and cost databases. Mr. Snyder has submitted expert technical reports and has been designated as a schedule expert, and provided support for multiple successful settlements. He has supported counsel with deposition and trial preparation, and has assisted in the creation of financial and schedule related demonstratives for use in reports and during trial. Mr. Snyder has provided on-site project and cost management support during the construction phase of a project. He has worked closely with both project owners and contractors on tracking extra work authorizations, creating and maintaining project punch lists, and assisting in project closeout.